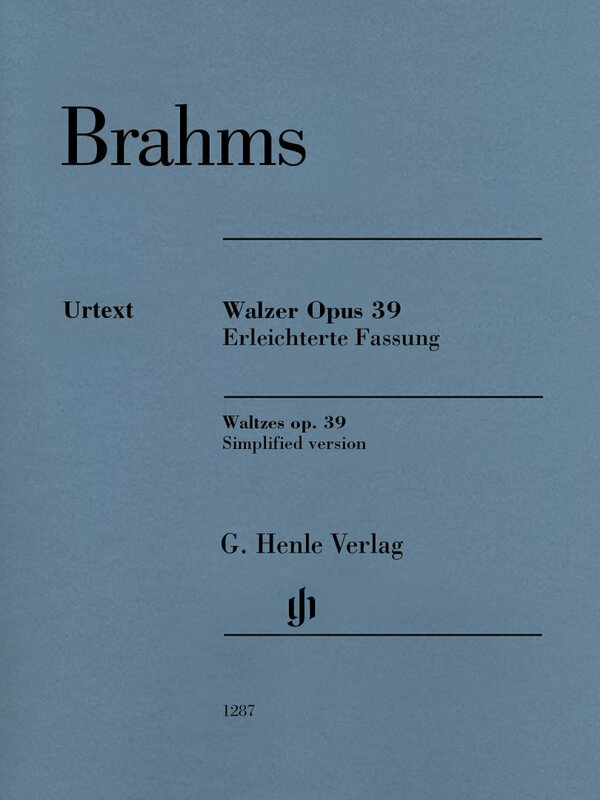 Following the publication of the 16 Waltzes for piano four hands, Brahms' publisher succeeded in persuading the composer to do a version for piano solo. After initially hesitating, Brahms suggested two versions, one for “clever hands and one - perhaps for the more beautiful ones”. Both versions were published in 1867. The simplified one, which Brahms also called the “version for children”, not only thins out some of the full chords but also transposes complicated keys. Thus no. 6 is no longer in C sharp major but in the easier key of C major instead. Henle is now issuing this simplified version of the popular Op. 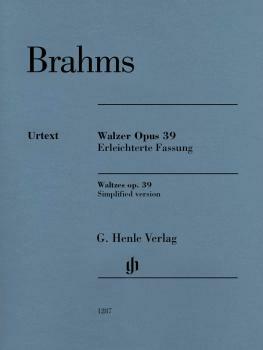 39 based on the revised musical text of the new Brahms Complete Edition.